The objective was to provide a counter top display that could hold a variety of products that would appeal to different customers needs. The display also needed to be shipped with the product in place so that the store did not have to marry the product up to the display. 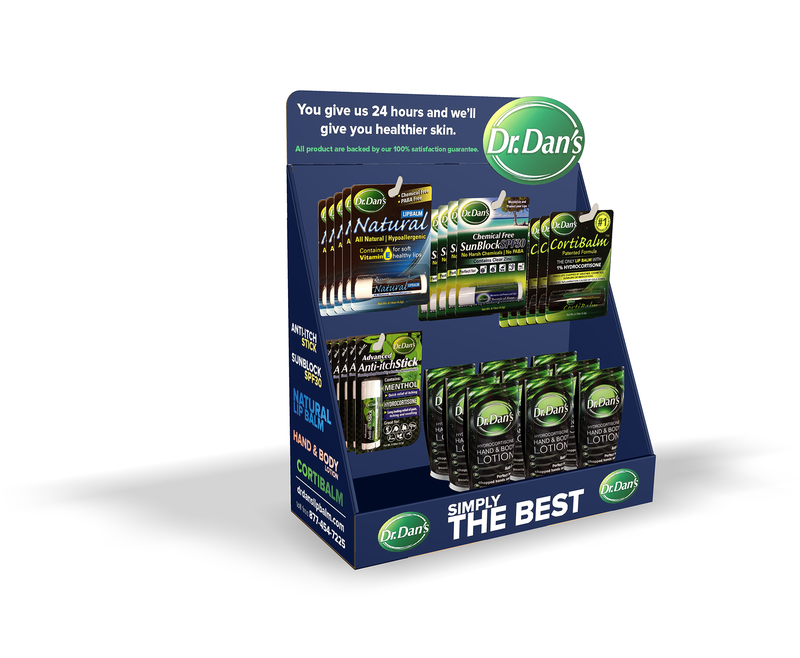 We designed a display that held various products and shipped with the product in place. The store simply opened the shipping box, lifted the assembled display with the product in place, and positioned it on the counter. This “pre-packed” style solution guaranteed that the display and the product would be delivered to the retailer at the same time. Because the display was already assembled and the product was in place, it made it easier for the retailer to display the product.